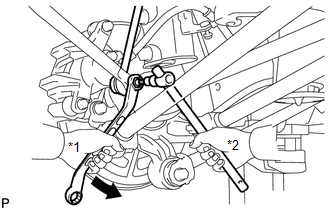 (b) Remove the nut and the rear stabilizer link assembly LH from the rear shock absorber with coil spring LH. 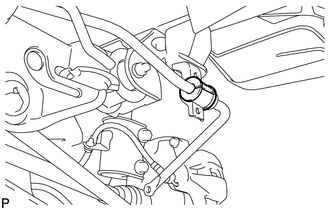 (a) Remove the bolt, the nut and the rear lower suspension brace (LH side). 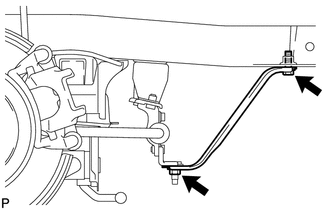 (a) Remove the 2 bolts and the rear stabilizer bar bracket LH (rear side). 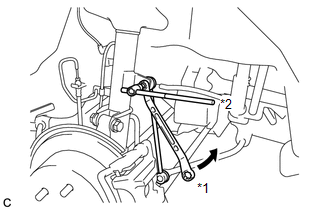 (a) Remove the 2 bolts and the rear stabilizer bar bracket RH (rear side). 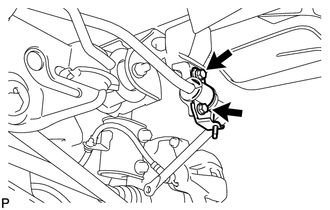 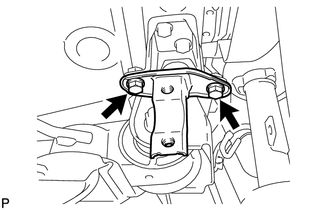 (a) Remove the rear stabilizer bushing (LH side). 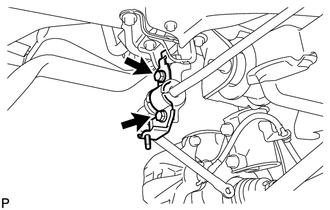 (a) Remove the rear stabilizer bushing (RH side). 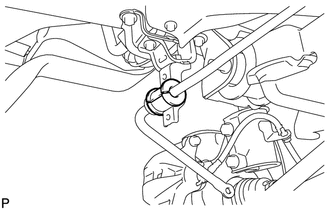 (a) Remove the bolt and the rear stabilizer bar bracket LH (front side). 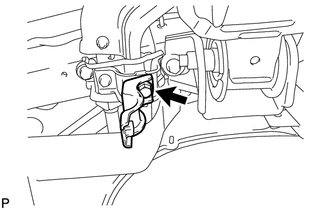 (a) Remove the 2 bolts and the rear stabilizer bar bracket RH (front side).